The Plotting Stage - M.W. Usually I am a combination of a plotter and a pantser, but lean more towards pantsing. That’s because I usually find that my characters know where to go. All I have to do is watch them and write it down. 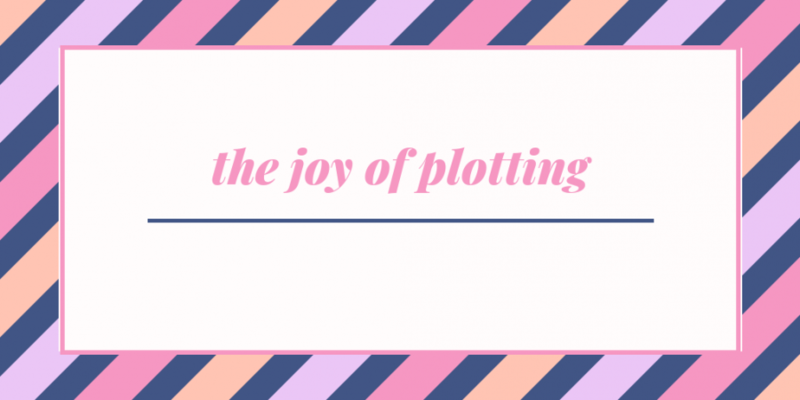 The plotting stage can be incredibly fun, because this is when you decide all the terrible and awesome things that happen to your characters. It’s also difficult, not just because you don’t have your characters to follow around, but also because, in my case, I am worried that I’ll start writing and all of a sudden it will go in a different direction. It’s not necessarily bad if that happens. However, what if all planned scenes are linked to the ending or have a deeper meaning? Do you follow your characters? Or do you stay true to your plot? Can you still do both? In this case, I can’t afford NOT to plot my novel. This new WIP involves parallel worlds, time travel, many attempted murders, and a pet turtle called Dodo. The events have to be connected and there has to be a domino effect. Which means I have to think very carefully about what happens and what the consequences are. Panic mode engaged. I might just have to become a cat and sleep all day. That’s probably easier. Though, not as fun. I think that’s the important thing to remember about plotting, or anything related to writing a novel that is difficult: to have fun. After all, that is why we write. Daydreaming has always helped me in figuring out how the story pushes forward and that’s what I have been doing. Then I write down what I think would be interesting and since I’ve already thought of the big plot points, it helps to work towards those. It’s still not easy, but I’m trying not to be too hard on myself. If I do find something won’t work, then I’ll have to make changes. So I guess there will be an element of winging it, after all. I’m curious to see if my characters will follow the script, but either way, it will be a fun ride. What experiences do you have plotting and/or pantsing. Any tips to share? Problems? Virtual cookies?